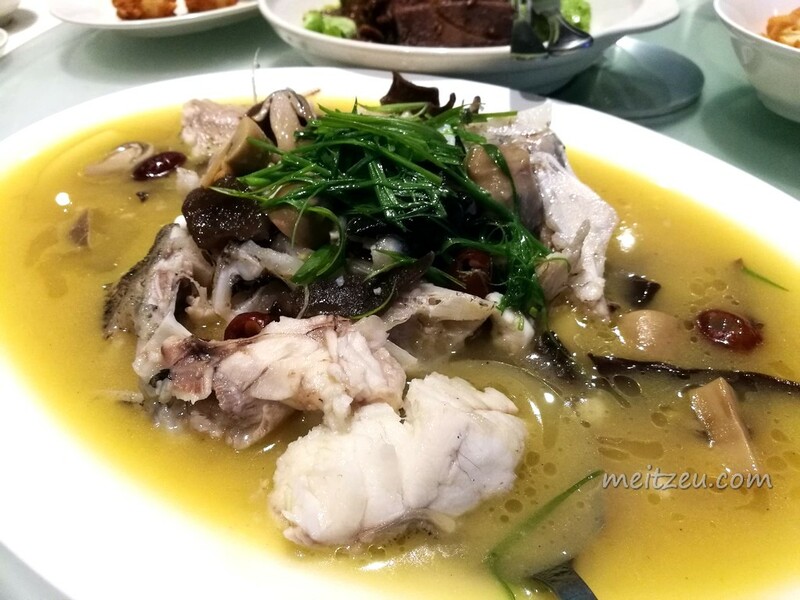 The first experience of mine to taste Rabbitfish ("Lai Mang") with Herbs Soup "Yu Kut Teh" was during my food trail visit to Sandakan last year. 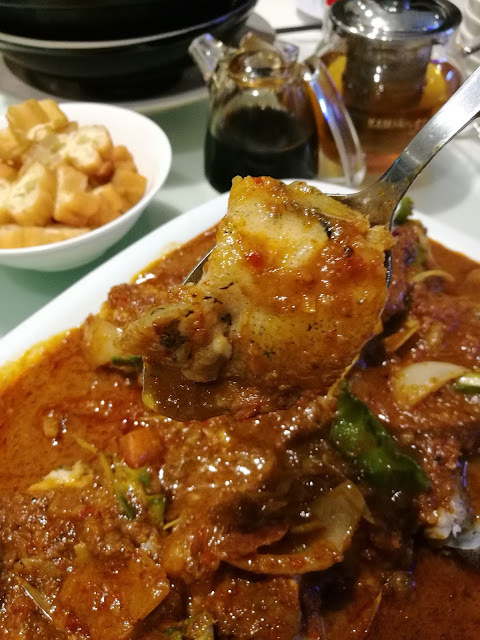 In fact, us in Kota Kinabalu itself does not favour much with rabbitfish as the consumption itself are lesser here as well. No supply, therefore no demand. True or not? Having the new menu by Alu-Alu Kitchen, Kota Kinabalu are now available with rabbitfish Yu Kut Teh and we do not have to go all the way to Sandakan to taste "LaiMang" Yu Kut Teh anymore! 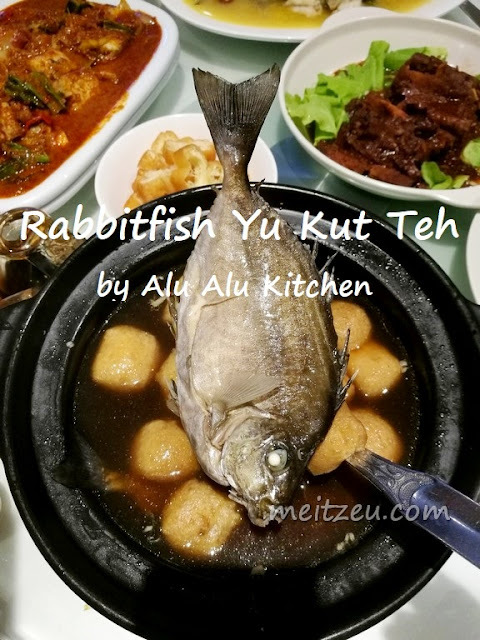 Frankly speaking, we have tasted the live rabbitfish Yu Kut Teh by Alu-Alu Kitchen, which they are proudly serving farmed organic vegetables and chemical-free fishes directly from their Bayu Aquaculture fish hatchery located at Tuaran. The rabbitfish which they are serving are kept live in glass tank, and when guests would like to have Rabbitfish Yu Kut Teh, there will always be live fishes available. Unlike some of the rabbitfish served at restaurant, a well handling will make sure no muddy taste when we consume it, proper caring, cleaning and cooking will be needed. 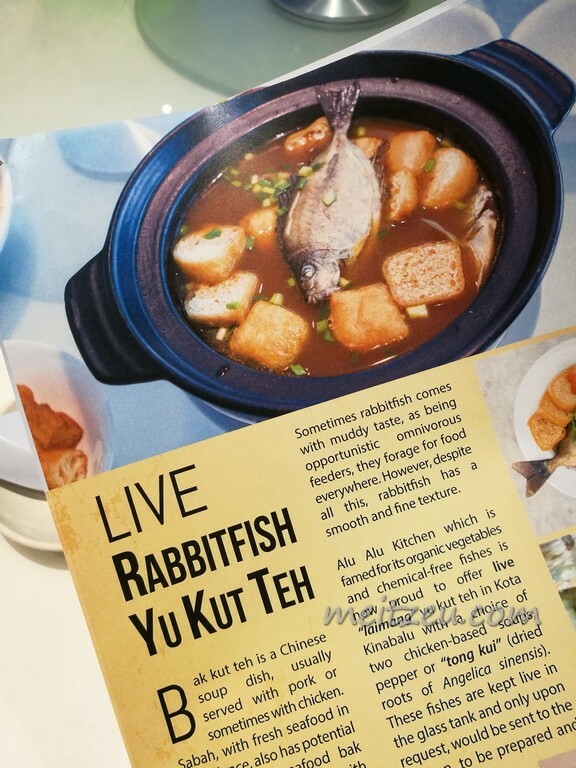 Align with Live Rabbitfish Yu Kut Teh, there are a few more new dishes that are quite special and nice. 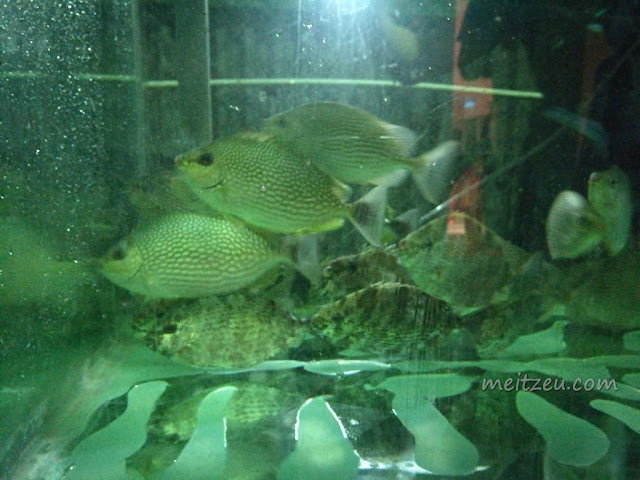 Fresh fish are a favour by many. Personally I love the "Tong Kui" soup based, as we were being understood that there were more than 20 types of herbs in that bowl of soup. No wonder it taste savory and at the mean while, keeping ourselves warm and energized. 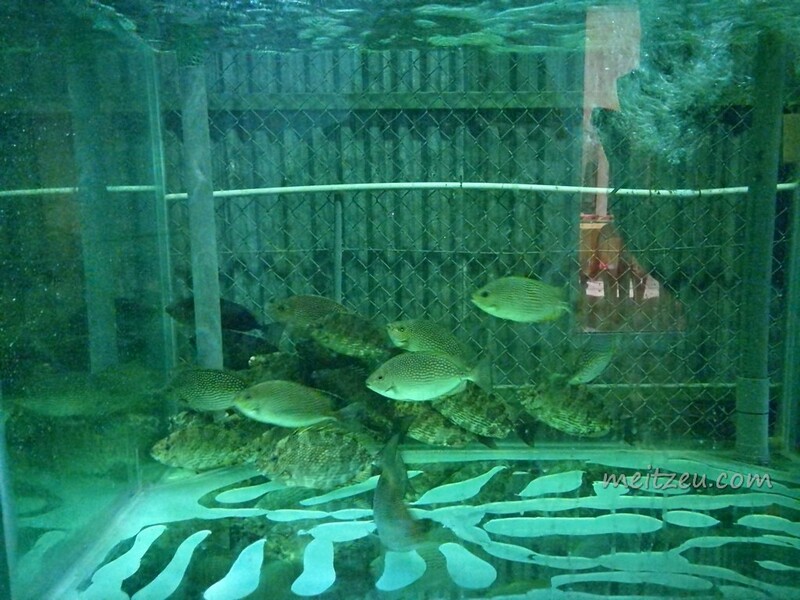 In addition, the flesh of rabbitfish are smooth and fine texture where one fish might not be enough for one. It's too nice to eat. 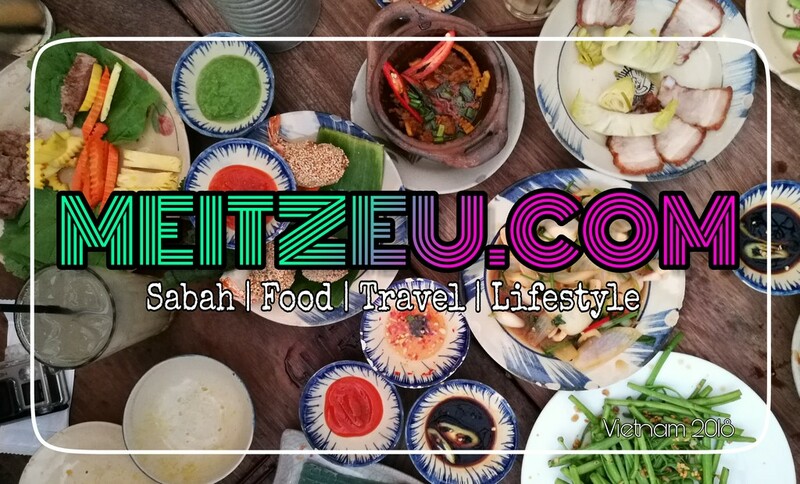 For both of the Yu Kut Teh, the price will be RM120.00 per kg and we will have to order at least 500 gram for each serving. 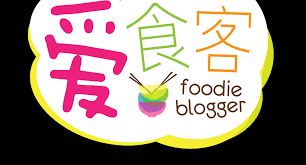 If we would like to taste another choices of cooking, we may request the kitchen to prepare a dish that suits you. Rabbitfish can be served barbecued. 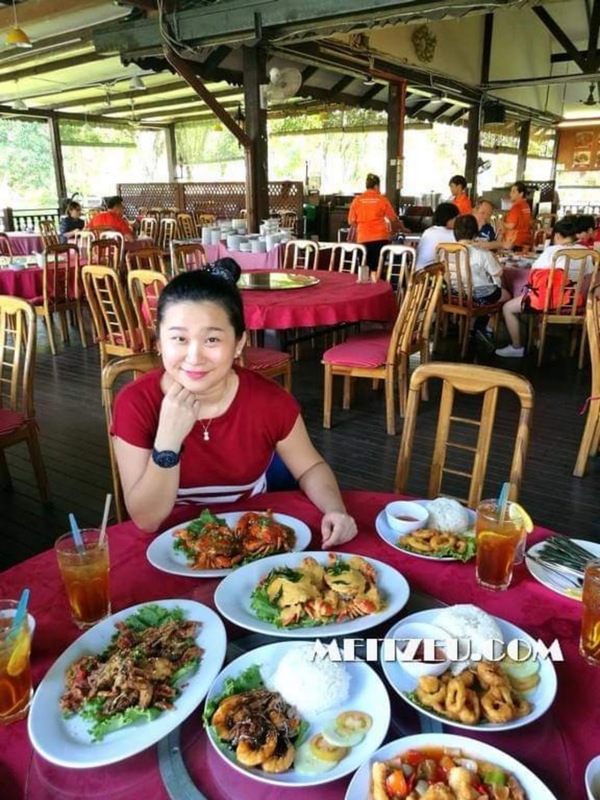 Not many restaurant that serve delicious fish head grouper, more over with freshly cut grouper by Alu-Alu Kitchen, the grouper head slices were not hard and with smooth texture for every bite that we bite. The gravy was savory and delicious, just like what I prefer. I'm not a fish head favourable person, but the one we had that night? 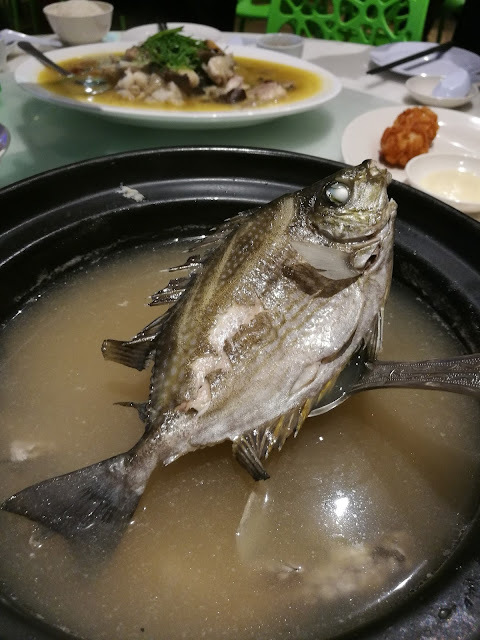 It was a large grouper and I didn't know it was fish head until they mentioned that it was fish head again. Alu-Alu Kitchen do care about all customers requirements, especially the Muslim. Alu-Alu Kitchen is a "Serve No Pork" restaurant. 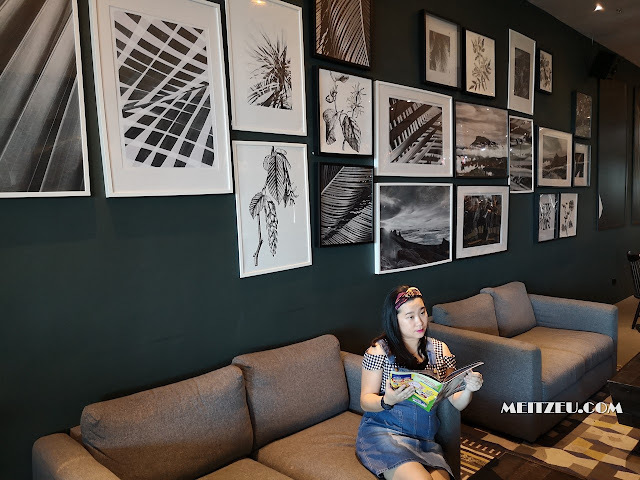 From the menu we read, Alu-Alu Kitchen always designed well-known Chinese dishes in a way that could be tasted by all, even for the Malays. The assam curry that made us ate extra! With such gravy, it suits the local tastebuds. 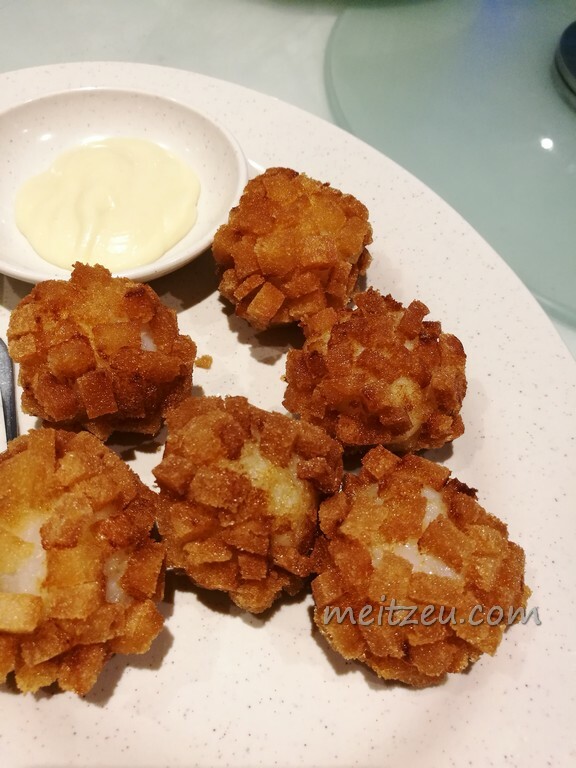 As a person who love spicy food, this dish will be one of my recommendation to you as well. 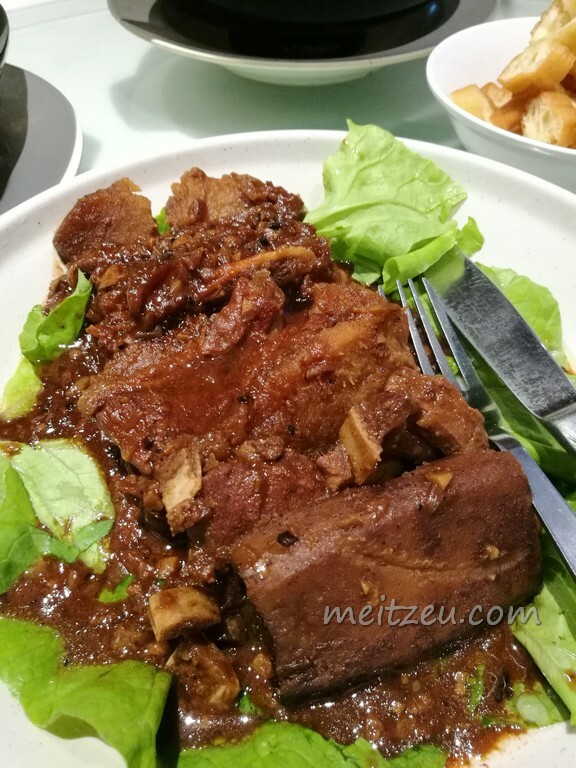 This is a really interesting dish.... other than chicken and pork, I have never tasted Bak Kut Teh with seafood or fish!